The Maltese government has declared that the island's banking sector remains "robust and stable" in the wake of fresh doubts emanating from its large financial services sector, due to the risk of contagion from the Cypriot crisis across the Mediterranean sea. Malta election first-count results confirm early projections showing Malta’s Labour Party won the vote for the first time since the euro’s start as voters rejected the ruling Nationalist Party even after it helped shield the nation from Europe’s debt crisis. If we diligently study the world map, we can find several Maltas. One – the most widely known – is situated in the Mediterranean Sea, and the other one is a small Latvian village. It is 20 km away from Rēzekne, one of the largest Latvian cities and 210 km from the Latvian capital Riga. Jānis Zelmenis is talking about the Latvian Malta. Ryanair offers a new destination to its customers! Starting from May 2012, direct flights from the Baltic region to Malta will be available to Ryanair customers. Flights to Malta will be offered from the airports of Kaunas (Lithuania) and Wroclaw (Poland). After Latvia offered foreign investors to obtain temporary residence permits, the Russian business community and therefore the media interest in investment opportunities in Latvia increased significantly. To clarify the situation, Janis Zelmenis gave interviews in Moscow to major business media of this country – Kommersant, RBC Daily, and Kommersant Dengi. The Delovye vesti newspaper published an article, in which BDO Zelmenis&Liberte partner Janis Zelmenis describes the Lido catering company's restructuring plan. 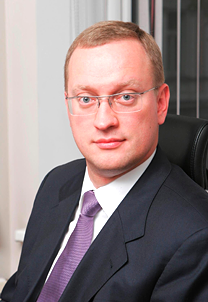 To take care of the resumption of solvency and the future development of this company, Janis Zelmenis as experienced legal adviser was invited to become a board member of Lido in May. Please see the article here (publication in Russian). The Dienas bizness newspaper published an article, in which BDO Zelmenis&Liberte partner Janis Zelmenis criticizes the measures proposed by politicians to restrict the activities of offshore companies, because they may reduce the competitiveness of Latvia in the attracting investments. Partner of BDO Zelmenis&Liberte Jānis Zelmenis as honorary consul of Malta took part in the first Honorary Consul General Meeting of the Honorary Consuls of Nordic Europe and Baltic countries, held in Helsinki, Finland. For the first time, honorary consuls of the Baltic states had also been invited, thus launching a new contact network within the Baltic – Nordic cooperation.